Nando Frias, Tomás Frias e Maria Cavaco comigo. Quinta-Feira é amanhã! Two years ago, in a City To City meeting in Lisboa, I had the chance to speak briefly about being an evangelical christian in Portugal and Europe. It became known as the "It's not that simple, Tim" speech. 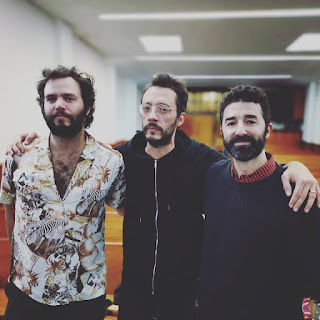 que se aproxima o dia em que vamos celebrar os dez anos do disco IV. Tenho ideia que sim. É daqui a uma semana, gente! 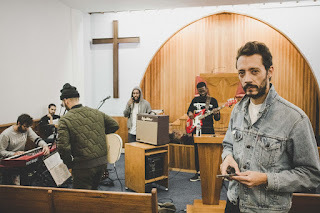 Também penso que já disse que, porque celebrações são coisas para levar muito a sério, ando cercado de músicos muito sérios para que a festa seja inesquecível. Olhem este aqui. Nem vos vou falar dele porque senão o texto dá em lágrimas. 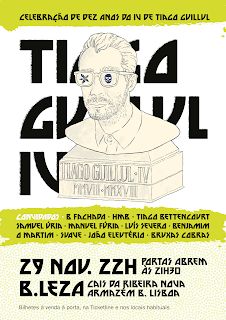 Insisto, portanto: tratem do assunto comprando os bilhetes antecipadamente aqui: https://ticketline.sapo.pt/evento/celebracao-de-10-anos-do-iv-de-tiago-guillu-38571. O sermão de Domingo passado, chamado "Ser Perdoado É Perdoar", pode ser ouvido aqui. A história de como duas igrejas se tornaram uma contada em dez minutos. O sermão de Domingo passado, chamado "Pedir a Deus o pão de cada dia cura-nos do medo e da ansiedade", pode ser ouvido aqui. Têm de ir ouvir esta maravilha já! 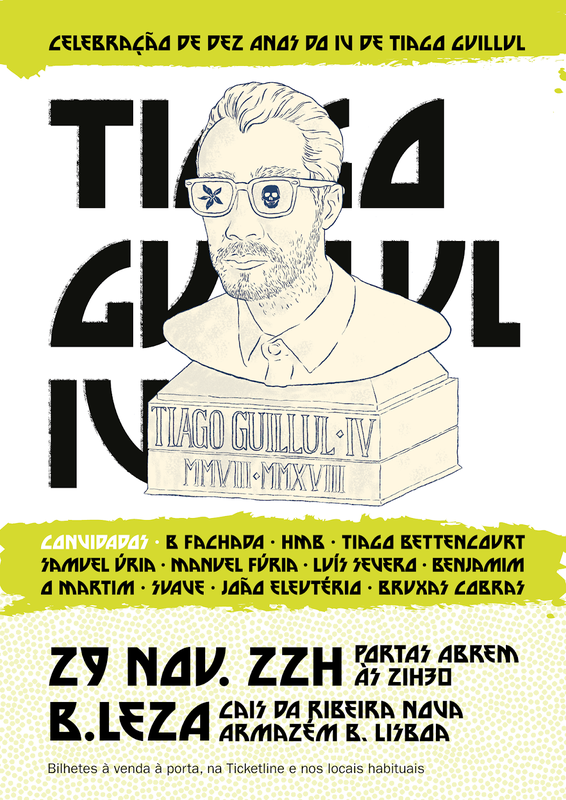 O Tiago Bettencourt deu-me uma grande honra ao participar no disco que sai esta sexta. Este fantástico lyric video foi feito pelo Silas Ferreira. Com saudades de São Paulo. Há festa para um disco que há 10 anos trouxe alegria a tantos (e daqui a uma semana o disco, esgotado há muito, estará nas lojas e plataformas digitais em versão tripla especial, num objecto mesmo bonito, sobretudo graças ao talento do Silas Ferreira). O bilhete é 8 euros e, com um cartaz deste calibre, não aceito ausências. Bota na agenda e adquire a entrada o quanto antes! Estive em Cracóvia num encontro do City To City Europe, organização inspirada no ministério do Pastor Tim Keller em Nova Iorque. Ele esteve lá e, imaginem a emoção deste fanboy!, foi-me dada a oportunidade de dirigir um dos dos momentos devocionais. 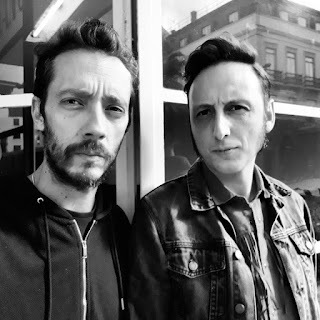 Vejam o vídeo (obrigado ao Bernardo Patrocínio pela leitura bíblica!) e consultem o texto em baixo. We can say that, in the book of Acts, Paul gives us, at least, six good speeches that work as a kind of preaching models. Probably Acts 17, Paul's discourse in Athens, gets all the buzz, maybe because we look at it as a perfect example of cultural contextualization and nowadays we love to express perfect cultural contextualization. We can and should admit that what gets us to City To City meetings has a lot to do with this: for evangelical christians who, in some way, feel the pressure to go beyond the historical stigma of being labelled as fundamentalists or culturally inarticulate, Pr. Tim Keller's example makes us feel we can hear Paul preaching at the Areopagus right now, in the 21st Century. For some of us, hearing Pr. Tim preaching in the internet is the best way to travel to Greece without having to pay for the tickets. And we should love Paul's preaching when it looks he's right on the money and winning arguments with the culturally sophisticated. But, of course, that's not the whole picture of Paul's sermons. So, my plan is to share three observations from this other time Paul is giving a speech, a kind of a sermon, completely different from the one in Athens. First, I want to talk about the way we deal with power and protection when preaching or sharing the gospel. This last speech we get from Paul, while reading the book of Acts, it's in this legally messy situation where Roman power is, at the same, time imprisioning him and protecting him from the jewish anger that wanted him killed, after the tumultuous episode in the Temple of Jerusalem (in Acts 21). So, this means that right now Paul is preaching the gospel, telling his own personal story, to people that mean both power and protection over him. I want to stress these two aspects of power and protection because I believe that, politically and culturally speaking, we, as european christians, can feel some ambivalence towards the ones who rule over us, in our modern democracies. In this sense, we are not so far away from Paul speaking in Cesarea. In some ways, our modern democracies protect us; but in other ways, they also make us feel under its power, in a not so much positive fashion. There is something important for us to retain here: we should never expect to get a perfect combination of trust in power and protection as a pre-condition to witness the gospel to our surrounding culture. Paul was in a way protected, but he was also captive of that protection. And what did he do? He preached the gospel. The gospel is to be preached when you feel at home with culture and politics and when you don't. This is something that we can find even in this auditorium, depending on the place we come from. I am making a broad simplification but it is to light some different cultural-backgrounds that mirror this power/protection principle. For instance, if you come from northern european countries that were influenced by the Protestant Reformation, you can feel weak preaching the gospel whithout the security given by political protection because, at large, protestant christianity helped building your own culture. Now that your country got more secularized, protestants are not used to go against the grain. If you come from southern european countries, that were never influenced by the Protestant Reformation, you tend to preach all the time against cultural and political power because you, as an evangelical christian, were always against the grain, before and after secularization. So, don't prioritize cultural and political protection so that you can feel safe preaching the gospel, and don't prioritize antagonizing political and cultural power so that you can feel bold preaching the gospel. These are two errors over here: the error of accomodation and the error of unnecessary hostility. Make it more simple and biblical, while understanding your own situation: just preach the gospel, wether you'll feel more protected or more overpowered. We have to do this learning from each other. Second, I want to talk about the times when it's not the preacher working hard to understand his audience, but the audience working hard to understand the preacher. And how this brings a new balance between citizens' rights and christian preaching. Contrary to what happens with the speech Paul gives in Athens, now Paul does not go after the culture's interests, addressing, for instance, any relevant subject, like the issue of politheism was for the greeks. Now, Paul faces the Roman Governor Festus, and his special guests, Herod Agrippa, the jewish king, and his sister Bernice. It is not the case that Paul struggles to understand his audience but it is the case that his audience has to struggle to understand him. Mostly, Paul is just defending himself while explaining that the origin of all this mess has to do with what jews always expected from their Scriptures, not losing the occasion to confront his audience’s presumed convictions - he is working at several levels of understanding at the same time - it's an impressive speech! Anyway, at the end of it, from what Festus, Agrippa and Bernice understood, they simply say: “This man is doing nothing to deserve death or imprisonment” (v. 31). That court case got unnecessarily complicated, they think. And this confusing communication setting should strike us as encouraging: even when christians are fighting for their civil liberties, like Paul was fighting at that moment, the gospel of Jesus Christ should get a way to arrive at the center of your presentation. Even when you are working at the level of your political freedom, you have to do it coming from what Jesus did to you. You have to mess up your civil rights with gospel grace. Paul does not let his innocence get in the way of witnessing Christ and neither should we. Third and lastly, I want to talk about unexpected results when preaching the gospel. c) and political tolerance, because they all thought Paul was innocent (v. 32). So, what Paul gets from his sermon is not bad at all, but it still looks very under-achieving by the average missionary standards. Interestingly enough, what we get closer to a final amen is Paul mixing an altar call with a joke, aimed at Agrippa's ironical remark: “Whether short or long, I would to God that not only you but also all who hear me this day might become such as I am—except for these chains” (v. 29). Like, 'I will not give up saying to you that you really should become a christian, without, of course having to be one like I am right now - in jail'. So I want to invite you to ponder in some of the things the text brought us. - If you feel drawn to share the gospel to get people on your side, would you consider meditating on the cross of our Lord also as scandal? - If you feel drawn to share the gospel triggering people’s reaction, would you consider meditating on the cross of our Lord also as an act of mercy? - If you feel drawn to share the gospel showing how persuasive you can sound, would you consider meditating on the cross of our Lord also as a message largely misunderstood at that time? - If you feel drawn to share the gospel defending your civil privileges while doing that, would you consider meditating on the cross of our Lord also as a kind of giving up on our natural rights? - If you feel drawn to share the gospel as long as everything ends up looking in its proper place, would you consider meditating on the cross of our Lord also as a mystery that we live carrying some blessed sense of humor? I've been trying to live up to this pauline possibility, being an evangelical christian feeling sometimes protected, sometimes overpowered, fighting for my civil and religious rights, while never losing a chance to anchor all my discourse in what Jesus did for me, even if it gets me to preach mixing altar calls with jokes. May God help me and may God help us all.